How 28 Year Old Girl Deprived Her 16 Husbands from Valuables in Mianwali. A 28 year old girl in Mianwali is depriving her husbands from their valuables in the name of marriage. As per the reports of Daily Pakistan a 28-year-old lady, name Shehnaz, has deprived as many as 16 of her husbands. She deprived them from their valuables after marrying them, in a secret manner. Shehnaz, who is the resident of Miana Wala area of Isakhel, takes the cash, jewellery and other worthy goods and ran away with her father Gul Zaman. Both the father and daughter started a business-type scam in which they trap the locals in wedlock and then get away after taking their cash, jewellery and other worthy goods. Mehboob Khan of Tunderkhel has also confirmed it as he is also the victom or namely one of those 16 husbands of Shehnaz. He revealed that her father Gul Zaman looks for people of age older than her daughter and communicates a message that they can marry his daughter Shehnaz. 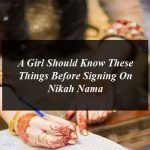 He said that when the husband-to-be visits Shehnaz house the settle down all the matter and demand a handsome amount and jewellery on the contract which the husband has to pay to them. He said that the relationship goes well initially and then they lady creates fuss and goes back to her parental house a along with cash and jewelry. He revealed that they also roped in a lawyer who fights legal battles in courts to shield the polygamy. 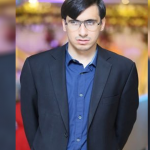 Mehboob Khan pleaded the Chief Justice of Pakistan, Mian Saqib Nisar, DIG Police Punjab, and DPO Minawali to take a stern action against them. The other victims namely the husbands of shehnaz are Ghulam Mohyud Din, Ameer Muhammad alias Kalli Ustad, Zabar Nawaz, Noor Muhammad, Liaquat Ali and others who are based in areas close to Isa Khel. This story is just like the Bollywood Movie “Dolly ki Doli” in Which Sonam Kapoor traps the guys for wedding and on the wedding night runs away by stealing all the valuables form the groom’s home. 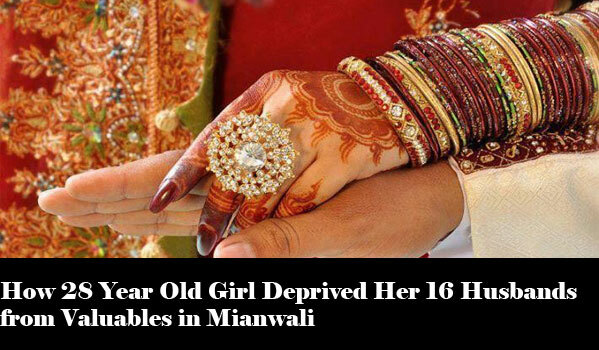 How 28 Year Old Girl Deprived Her 16 Husbands from Valuables in Mianwali. A 28 year old girl in Mianwali is depriving her husbands from their valuables in the name of marriage.